A large and stunning French Impressionist oil pastel on paper laid on canvas by noted French artist Pierre Carriere Belleuse. 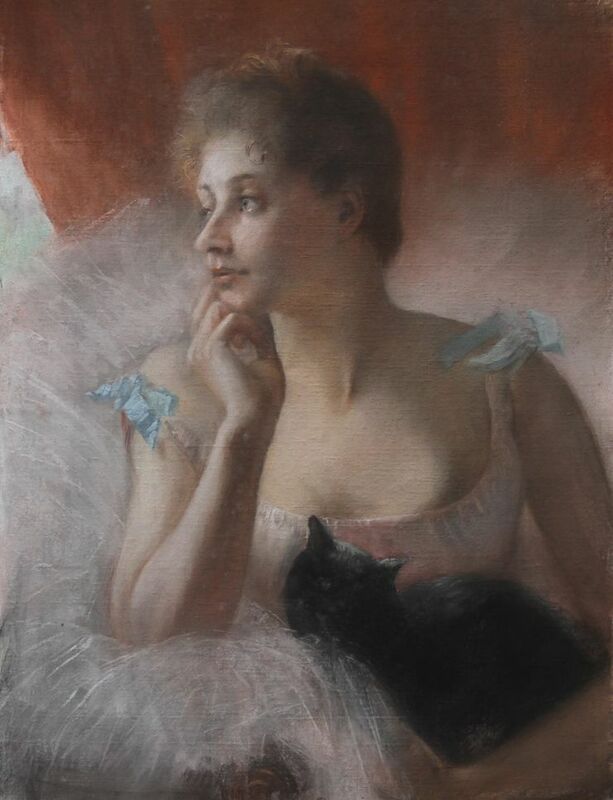 It is a beautiful portrait of a ballet dancer and a black cat. 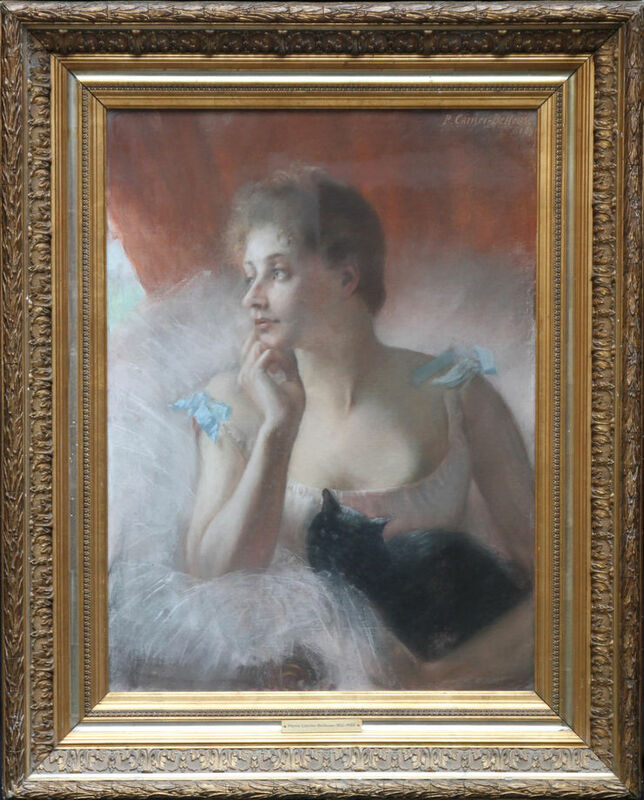 The work dates to 1891 and is housed in its original frame and is In good condition. A fine example of late nineteenth century French Impressionism. Gallery gilt frame 40 inches by 30 inches. Pierre Carriere Belleuse (1851-1932) first studies were with his father, the sculptor Albert Ernest Belleuse and also with Pierre Victor Galland at the Ecole des Beaux Arts. He exhibited at the Salon 1875 and won a silver medal at the Exposition Universelle 1889. He also produced drawings and lithographs for le Figaro. Best known for his ballet scenes and pastels, he also did landscapes, portraits and genre works. Most of his paintings are in private collections.